Already planning to transfer? Think again. Every year, there are students who start college with the intention of transferring after one year. Many of these students were not admitted to their dream school and think of their first college as a "stepping stone" to their dream school. Are you one of these students? If so, you should check out this article. College admissions expert Garth Robertson offers students two major reasons why they should avoid this transfer mindset. First, he says that one year is not enough time to build your academic resume enough to garner an acceptance to a dream school that didn't admit you the first time around. Second, he says that planning to transfer guarantees that a student will miss out on a full college experience. Both of these are great points. Students who miss out on admission to elite colleges should heed this advice and, instead of planning to transfer, maximize their opportunities at the college they're attending. On a personal note, though: I was a transfer student. 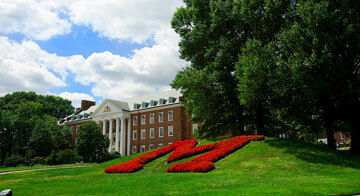 I accepted admission to my dream school and went to orientation there, but quickly realized that it was the wrong fit. Before the school year even started, I made a plan to transfer following my first semester. Was I shortsighted? Maybe, but I have no regrets. I made the most of my time at the first school and made a few great friends who I have kept through the years. I refused to let me transfer plan sully my experience. Upon arriving at my new school, then, I had memories of a great first semester and was able to immediately immerse myself in the new school culture. So, while Garth Robertson offers great advice, in many cases it all comes down to attitude. Even if you plan to transfer, enjoy the experience of going to college - you may find that you love the school you started at. Are you going to college with the intent to transfer? We would love to hear your thoughts in the comments below.